Hi everyone! The season to be jolly is coming… are you ready?! 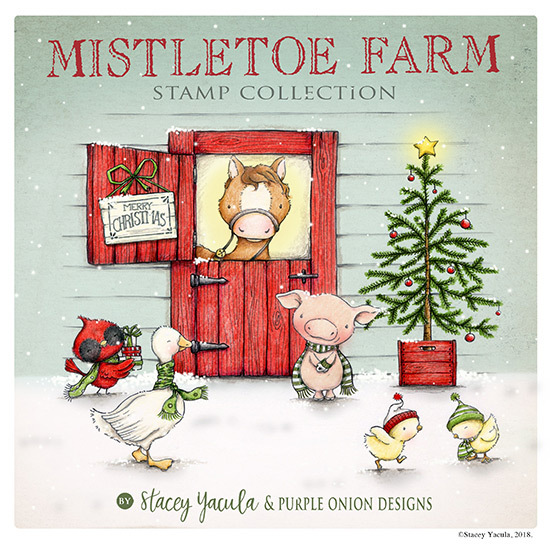 I’m so happy and excited to announce that the amazing Mistletoe Farm stamp collection, designed by Stacey Yacula, is now available at Purple Onion Designs store!! YAY!! This new winter/holiday collection consists of 26 stamps (33 individual images) and includes lots of cute farm animals – just perfect to create tons of adorable winter themed cards and celebrate the holidays. All the adorable rubber stamps from the Mistletoe Farm collection can be purchased individually or as a complete collection for a limited time. The entire collection can be purchased HERE at a discounted price of $107.00. This is a savings of 30% and it’s available until Wednesday, October 31, 2018. To celebrate the release of the Mistletoe Farm collection I have a new card featuring some of my favorite farm critters. I had so much fun coloring them! I started to work on this card by stamping Maggie, Pepper, Buttons, the Farm Wagon and the Presents with Memento Tuxedo Black ink and colored them with my Copics. I used the colorless blender to add some details and textures. When my coloring was done, I fussy cut all the images started creating my composition. Next, I die-cut a frame out of white cardstock using the Madison Creative Cuts by Mama Elephant and a couple of snowy hills using the Landscape Trio Creative Cuts by Mama Elephant. For the background, I ink blended some Tumbled Glass and Blueprint Sketch Distress ink and added some water droplets on it to create a snowy effect. Then, I mounted the hills over the background using foam tape for dimension and added the wagon loaded with presents and all the joyful critters on the scene. Finally, I heat embossed the sentiment – from the Essential Holiday Greetings Sentiment Set – in white on a strip of colored cardstock and added some sparkling clear sequins as embellishment. Thank you so much for stopping by, hope you like this project. 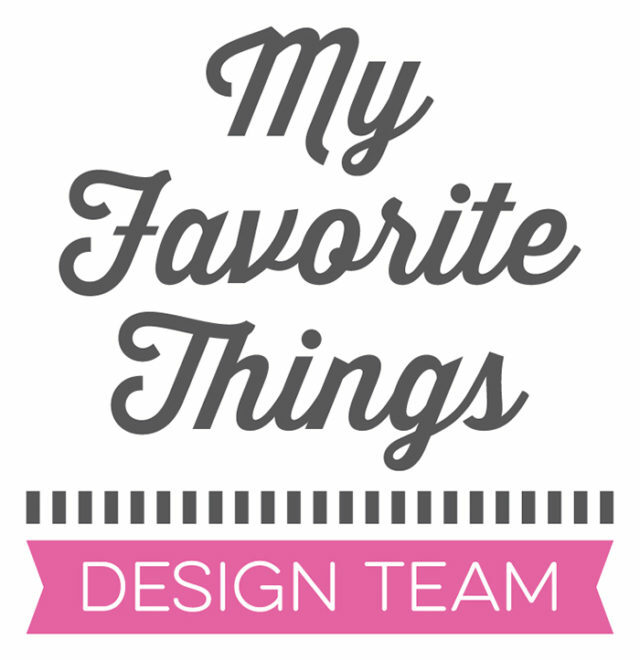 Happy crafting and… happy shopping! !